Ever heard the saying “a tired pet is a well-behaved pet?” Plan a brisk walk, game of fetch, or indoor romp to burn off excess energy and make your pet less likely to feel anxious during the event. Bring a snack (for your pet, that is!). 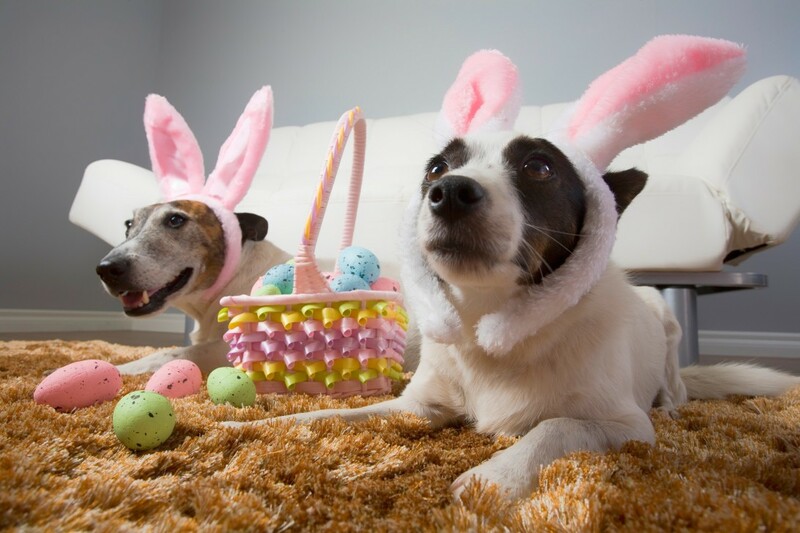 There’s likely to be some downtime while waiting to get that adorable pic with the Easter Bunny, and a couple treats can help keep your pet feeling relaxed. Is your pet overly shy, anxious, or aggressive toward other animals or strangers? It’s best to leave these pets at home – but we encourage you to enjoy our event with the two-legged members of your family instead! Now probably isn’t the best time to try out those new obedience commands you’ve been wanting your pet to learn, but it is the perfect time to practice what they already know. Asking your dog to “sit” and “stay” will help focus them while they wait. Dogs should be on leash (but no retractable leashes! ), and cats should be in carriers while waiting for pictures. Don’t allow your pet to approach another pet without first asking permission from the owner. Never let your dog sniff a cat in its carrier, as this can be extremely frightening for an animal in an enclosed space. We hope you’re able to join us for our Easter adoption event and pictures with the Easter Bunny on April 7th from 11 a.m. to 2 p.m. All proceeds go to helping local pets find forever homes. Please don’t hesitate to contact our staff with any questions or concerns. We look forward to seeing you there!